Otherwise known as “Green Funerals”. We are the Only Green Funeral Directors in Sutton Coldfield, Tamworth and Lichfield. Some families are concerned that a funeral may not be environmentally friendly and may opt for an alternative. 1.Eco friendly coffin made with natural and biodegradable materials. Burial in a Natural Burial Ground or on the family’s own land. Limousines and cars kept to a minimum. No cremfilm or plastic lining in the coffin. Journey kept to a minimum. Flowers used all bought within 10 mile radius of FD. A tree plant or other plant(s) instead of headstone. Of course we can help with any of these things, or if perhaps you just want to “do your bit” for the environment and, for example, choose from one of our many Eco-coffins including bamboo, seagrass, willow, water hyacinth, banana leaf, wool and cotton, then we are glad to work with you. We are members of the Association of Green Funeral Directors and the only funeral home in Sutton Coldfield (and one of only two in the West Midlands) to be recommended by the Natural Death Centre. For more information on environmental issues and woodlands burials please contact us. 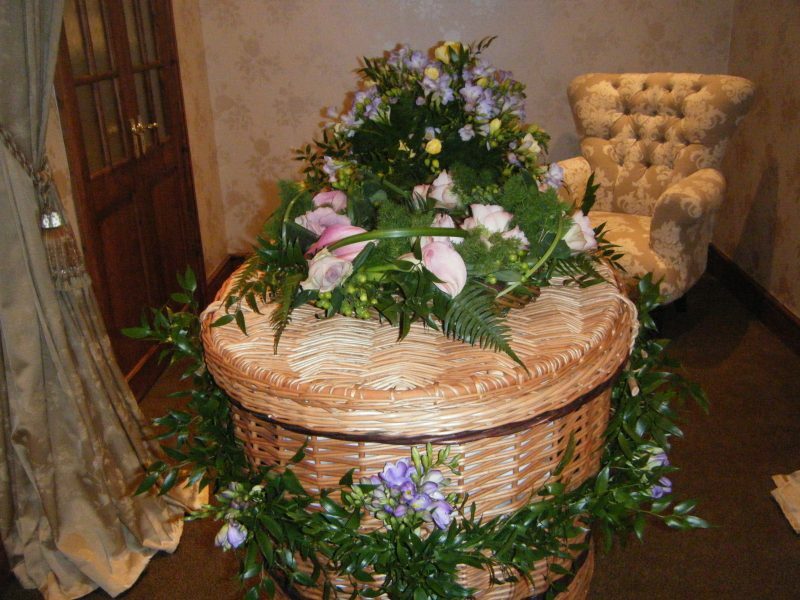 We also provide the option of green funerals within our pre payment plans.